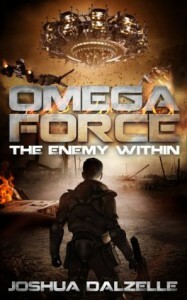 Omega Force has parted ways from their secret covert ops with a small star system government. When violence breaks out across several systems and the Confederacy begins taking over the systems in the name of stability, and Omega Force's liasion is accused of fomenting said rebellions, Captain Burke springs into action. Rescuing a beautiful starship captain, infiltrating a secret ConFed military prison, hijacking a broken starship destroyer, Jason and Crew are kept rather busy. Of course, when your enemy turns out to be the son of your former patron, things get sticky. Throw in rogue politicians who want an Empire and you have action out the wazoo. But no worries! Jason Burke, Captain Extraordinaire, is in charge. He gets things done. Not a bad Military Science Fiction story. The writing is as rough as ever, but not quite as blocky in the writing as previous books. I don't know how to describe it any better than that. The romance here, between Burke and the starship captain, isn't well done. It is there, but it feels as artificial as the writing describing it. I'd probably complain (maybe) if there was NO romance, but honestly, I'd rather do without this in this kind of story. It just shows that Dalzelle has a lot of growing as an author to do before he can write a character based story. Hopefully he'll do that growing.